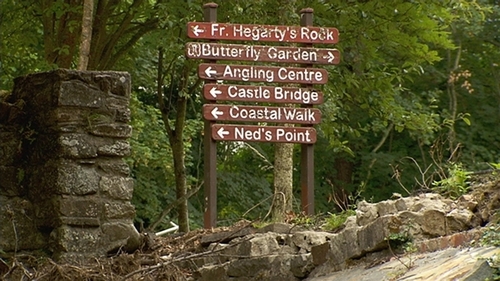 A centre for excellence Surfing in Sligo, the restoration of the Borris Railway Viaduct in Carlow and the conversion of the Valentia Island Cable Station in Kerry into a museum are among the first projects to get funding under the Governments €1bn Rural Regeneration and Development Fund. The projects were announced by the Taoiseach and Minister for Rural Affairs Michael Ring in Sligo. The aim of the scheme is to breath new life into Irish towns and villages with a population of less than 10,000 by allocating funding to communities over the next ten years and is part of the Project 2040 plan for Ireland. More than 290 projects applied for this first round of funding which focuses on heritage and tourism, infrastructural improvement, economic development, and rural regeneration. The conversion of a heritage building in Kinsale, Co Cork into a local public library and the restoration of Swan Park in Buncrana, Donegal following its devastation by flooding last year are among the 18 projects that have been allocated €24.4m of the €55m available for projects in 2019. The Taoiseach said he was struck by the dynamism of the ideas submitted and said the projects have significant potential to improve rural Ireland and to do so quickly.